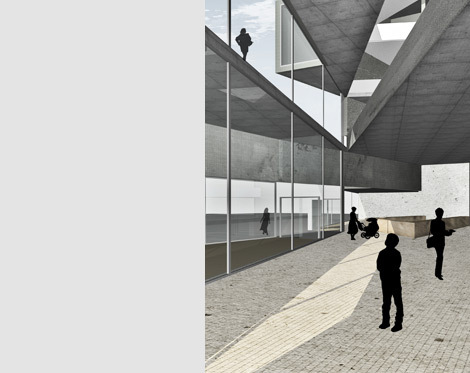 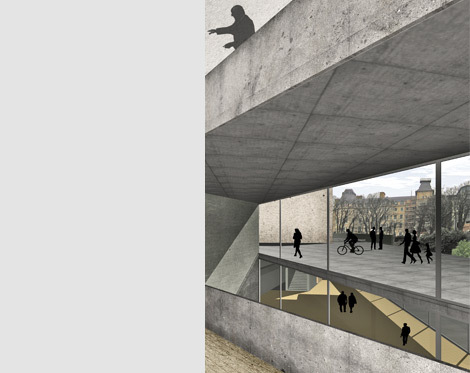 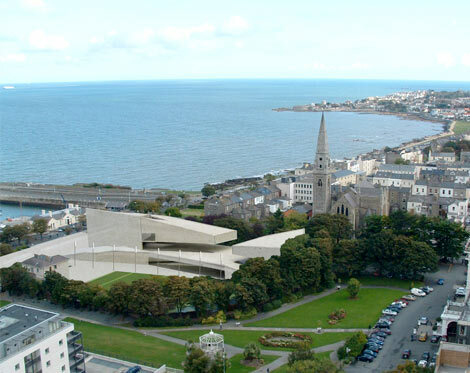 The project is for a new central administrative library for the area of Dunlaoghaire Rathdown and an associated cultural centre. 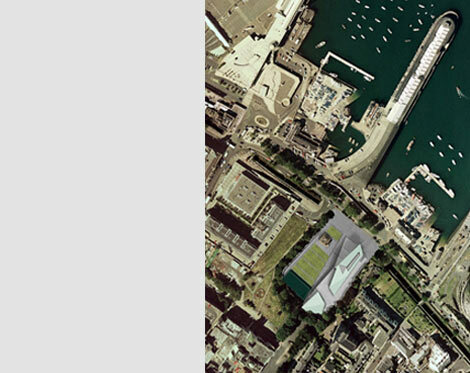 The building relates to two main datum levels established at the level of Haigh terrace, at15.0m and the park and garden some six metres below, at 09.0m. 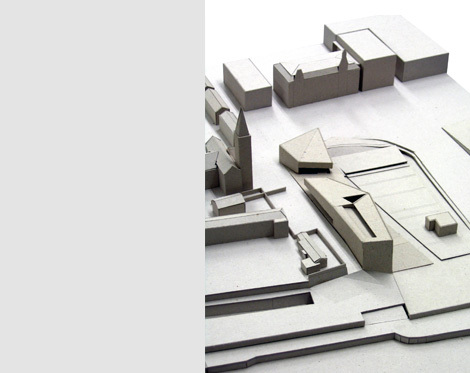 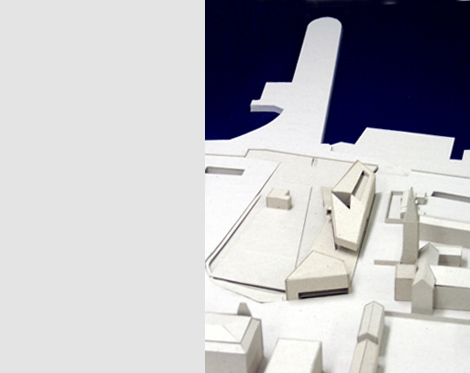 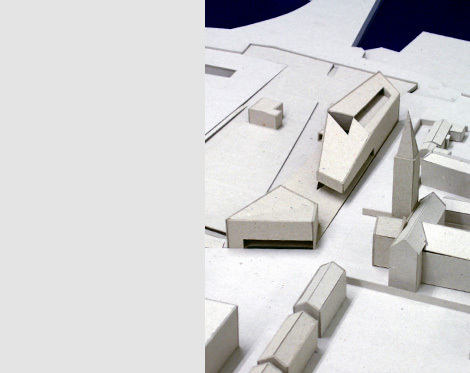 A single entity, the building separates at the level of the upper plaza into two main blocks housing the library and the cultural centre, externally forming a new public space dominated by the spire of the adjacent church, now a maritime museum. 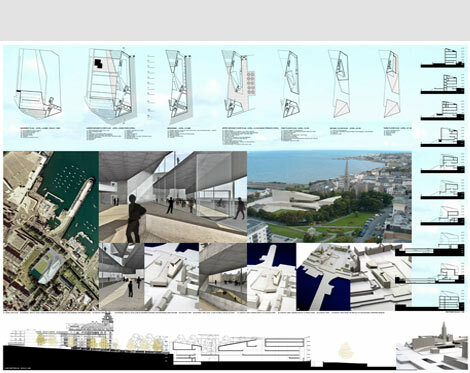 A wide flight of cascading steps leads from here to the “Metals” a public promenade that runs parallel to the seafront. 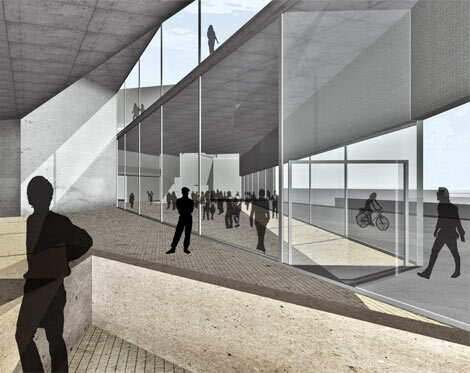 Internally a central concourse and atrium rises up through the building connecting all the various levels of the library and cultural centre, by means of overlapping voids, terminating in a long external roof terrace facing south east over Scotsman’s bay.